Sheehan Adopt-A-Family Project | A 501(c)(3) charity providing low income families with food, clothes, & toys in times of need. After 8 years of adopting up to 25 families each year through the Los Angeles County Department of Public Social Services "Adopt-A-Family" Program, bringing these families toys, clothes, food and hope during the holidays, the Sheehan Adopt-A-Family Project (SAF) 501(c)3 has expanded its mission from adopting families to adopting a local group home. In March 2018, SAF launched a brand new computer lab at Vista del Mar group home in Culver City. Through their computer skills training & mentoring program , SAF Project hopes to intervene in the foster care system before children age out and are faced with homelessness. Prepping and boxing 1500 boxes of food for the hungry in Los Angeles! Sheehan Adopt-a-Family is a 501(c)(3) charitable organization based in Manhattan Beach, CA. Our main goal is to intervene in meaningful ways to help reduce the staggering amount of homelessness in Los Angeles, where over 30,000 people sleep on the streets every night. Specifically, we adopt sheltered and needy families during the holidays providing them with toys, clothes & food and are also building a computer lab for some of LA’s most at-risk youth. According to the US News, youths make up the fastest growing homeless age group in LA, with those ages 18-24 up 64% since 2016. This shocking statistic helped us determine a real connection between homelessness and aging out of the foster care system. This led to us reaching out to 100-year-old Vista Del Mar, home to some of LA’s most at-risk youth. In March of 2018 we opened a brand new computer lab and began a computer skills training & mentorship program for the 46 youth residents at Vista Del Mar. Thanks to the support of many people, including former NFL star Troy Polamalu, SAF has been fortunate enough to help thousands of families in the surrounding Los Angeles area, and now will be directly supporting some of LA’s most at-risk youth with our partnership with Vista Del Mar. Our family absorbs the administrative costs of our organization so that 100% of your donations goes directly to those in need. Kids who turn 18 "age out" of the foster care system and face a 67% chance of becoming homeless within 6 months of leaving group homes (orphanages). SAF’s main fundraising objective now is that the kids who WANT to learn and want to get a job and/or further their education get the training and equipment needed for them to achieve their goal. Monetary donations from SAF’s 2018 Holiday Fundraiser will be used to refurbish donated laptops and we are still also looking for more used laptops, tablets and iPhone donations. On Christmas Eve, I will hand deliver these gifts as well as a suitcase for every child at VDM. No child deserves to walk around with their personal belongings in a trash bag. You can safely contribute online at by clicking the donate button below or mail your charitable contribution to The Sheehan Adopt A Family Project 1590 Rosecrans Ave, Suite D 360 Manhattan Beach, CA 90266. Donations are tax deductible. For used technology to donations, please e-mail safprojectorg@gmail.com arrange for pick up. Please ‘like’ our Facebook Page at www.facebook.com/SheehanAdoptAFamily and connect with us on Instagram @SAFproject. We need volunteers of all types! Please fill out our sign-up form if you'd like to help. The Vikings are a non-profit 501(c)3 organization and are chartered as a 509(a)2 public charity. 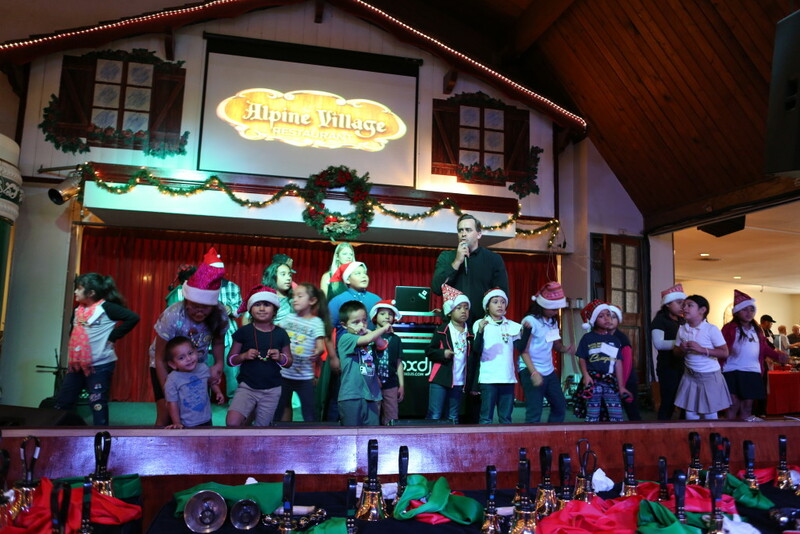 Each year, The Vikings have invited SAF’s current 25 families and previous years “adopted” families to a free holiday party for hundreds of disadvantaged and/or physically challenged youths. SAF values working with the Vikings. SAF expanded it's reach in 2017 by partnering with 100 year old group home Vista Del Mar in Culver City, Los Angeles. In March 2018 we launched a brand new computer lab and a computer skills training & mentoring program for the 46 youth residents of Vista Del Mar. We hope to equip these youth with the skills necessary for surviving on their own once they age out of the foster care system.. 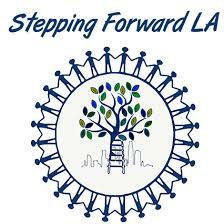 In 2018 SAF created a new partnership with Stepping Forward LA, an organization that helps group home residents make a successful transition out of the foster care system by helping them find transitional housing, resume & cover letter writing workshops and college search & application support. SAF donated 25 used laptop computers to Stepping Forward to open a second computer lab as a resource for Vista Del Mar’s residents upon transitioning out. Sheehan Adopt-A-Family is lucky enough to have the help of some great role models who also happen to be star athletes. It is great to see that those who care are impacting a great cause and making sure our voice is heard. 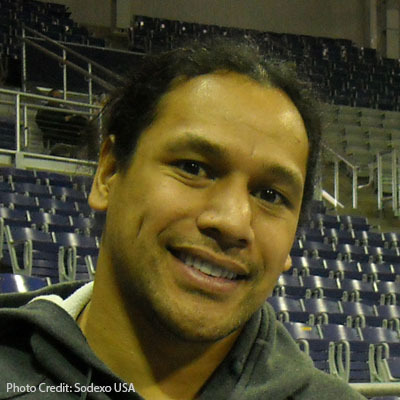 In 2014, we wonderfully got the support of famous NFL player, Troy Polamalu. 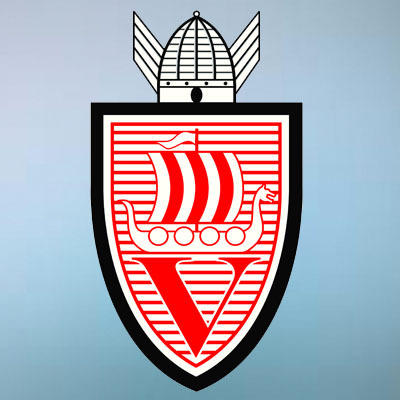 SAF has partnered with a long standing local charity called The Vikings who since 1950 have raised millions of dollars focusing on physically challenged and disadvantaged children, giving more than $5 million to children's causes. Each Christmas in conjunction with the L.A. Sheriff’s Department, they distribute over 1,500 food baskets to needy families in Los Angeles, and they give 25 of those baskets to SAF for our “adopted” families. In addition, The Vikings invite our adopted families to their annual children’s holiday party, where there is a catered lunch, dancing, pictures with Santa & 10 unwrapped toys. SAF has also expanded its reach to partner with a local group home to build a computer lab and mentoring program for its youth residents. SAF is very excited about this new partnership and needs your help and financial donations to help us grow our non-profit from not just adopting families, but adopting a home. If you are interested in volunteering in anyway, please Sign up on our volunteer form here! To make an online donation, please visit our donation page!You can also mail donations the Sheehan Adopt a Family Project (SAF) at - Rosecrans Avenue, Suite D360, Manhattan Beach, CA 90266 or for In-Kind donations and to volunteer or for more information please contact us at (310) 435-9808 or safprojectorg@gmail.com . All donations are 501©(3) deductions. Please like our Facebook page, our Instagram page and our Twitter page! 2015 © Sheehan Adopt-A-Family Project l All Rights Reserved. For 7 years the Sheehan Adopt-A-Family Project (www.safproject.org), a 501(c)(3) charity, has adopted hundreds of homeless and needy families during the holidays. In addition to looking after these families once again this year we will also be expanding our reach into group homes (i.e. orphanages) by asking for technology donations (old phones, tablets, & computers. The reason I want to expand into group homes is because I’ve identified a connection between aging out of group homes and homelessness. As many of you are aware, we have a tremendous problem of homelessness in our city. Over 40,000 people are on the streets of Los Angeles, and this number is on the rise. Youths make up the fastest growing homeless age group with those 18-24 up 64% since 2016 followed by those under 18 at 41%, according to US News. Since the majority of youth in group homes are kicked out onto the streets on the day of their 18th birthday, I hope to intervene by providing these youth with the technological resources necessary for surviving on their own. Thank you for considerating a donation!